We are working on a two stage master plan for a residence near Annadel State Park in Santa Rosa. The back yard development that will be installed as phase 1 focuses on improving flow and usable areas throughout the space. 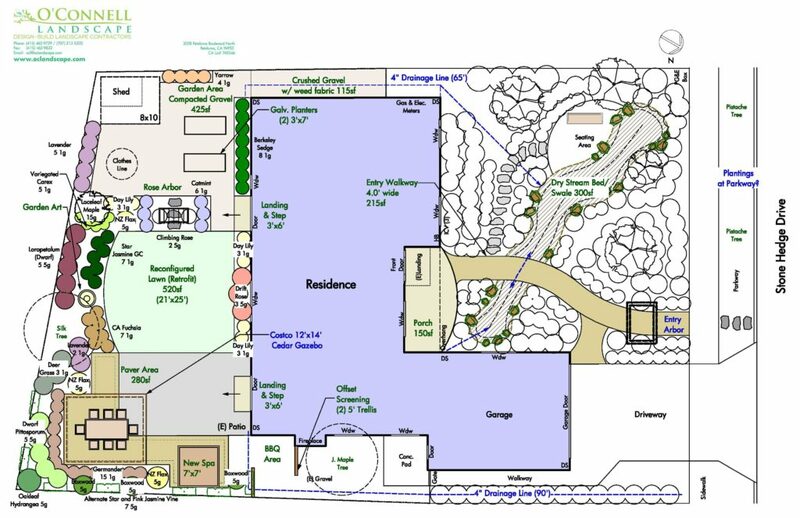 The front yard plan, which is still in development, removes a large lawn and replaces it will a natural dry stream bed and low water use plantings.